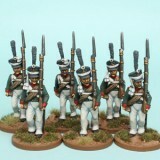 NAPOLEONIC RUSSIAN GUARD ~ AVAILABLE NOW! Posted 02/07/2015 by frontrank & filed under Uncategorized. Packs RNRPK11 & 12, each pack contains a mix of 6 new figures. Richard Abbott has been busy painting our 28mm Napoleonic Russian Reinforcement packs RNRPK5 – 8. Posted 13/06/2015 by frontrank & filed under Uncategorized. 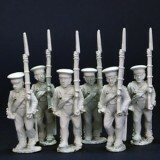 1 individual 28mm figure (value £1.20) FREE. For larger orders our normal discounts WILL STILL APPLY! SO THE MORE YOU SPEND THE MORE YOU SAVE!! basket subtotal £40.00 (before S&H is added) – choose 4 x 28mm figures. basket subtotal £65.00 (before S&H is added) – choose 6 x 28mm figures. 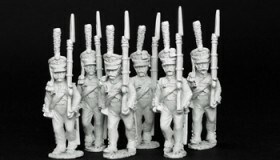 basket subtotal £152.00 (before discount deduction and S&H added) – choose 15 x 28mm figures. check your basket subtotal before discount deductions and S&H is added. work out how many FREE FIGURES to choose in addition to those already ordered. list your FREE FIGURE CODES x QUANTITY in the “ORDER NOTES” box next to the BILLING DETAILS on the Checkout page. Offer is for FREE FIGURES only, money refunds, deductions or credit notes cannot be substituted for the free figures. The FREE FIGURES must be claimed at time of purchase. 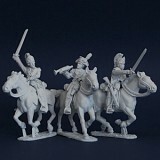 MORE NEW NAPOLEONIC RUSSIAN REINFORCEMENT PACKS ~ AVAILABLE NOW! Posted 14/05/2015 by frontrank & filed under Uncategorized. 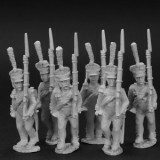 2 more 28mm Russian Reinforcement Packs ~ Infantry in forage cap. Packs RNRPK9 & 10, each pack contains a mix of 6 new figures. Posted 12/05/2015 by frontrank & filed under Uncategorized. Richard Abbott has been busy painting our 28mm Napoleonic Russian Reinforcement packs, RNRPK1 to 4. To see how lovely they look please go to the Napoleonic Russian gallery. Posted 10/04/2015 by frontrank & filed under Uncategorized. Packs RNRPK5 to 8, each packs contains a mix of 6 new figures. Posted 11/03/2015 by frontrank & filed under Uncategorized. Packs RNRPK1 to 4, each pack contains a mix of 6 new figures. These highly detailed metal figures are made in England. Posted 26/02/2015 by frontrank & filed under Uncategorized. Richard Abbott has been busy painting some more of our 28mm Napoleonic Hanoverian Reinforcement packs. To see how lovely they look please go to the Napoleonic Hanoverian gallery. Posted 12/01/2015 by frontrank & filed under Uncategorized. Posted 02/12/2014 by frontrank & filed under Uncategorized.